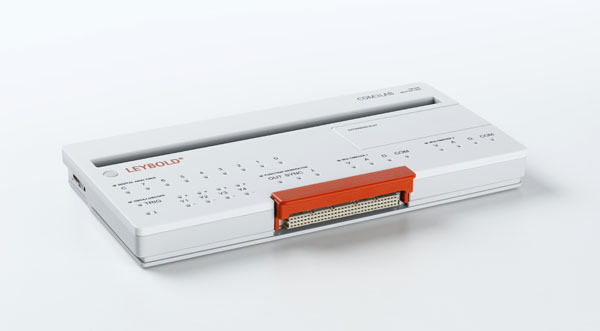 The COM3LAB Master Unit is a multifunctional, compact, measuring interface. It is used for the operation and power supply for the COM3LAB multimedia experiment boards and as an independent measuring laboratory. The Master Unit is connected to the PC via a USB Port, WiFi or Ethernet for the recording of measurements and for remote control of it's built-in functions. The Master Unit can be quickly attached to an experiment board via the experiment board carrier. It's clear and structured design results in easy operation. The COM3LAB software contains courses in all supported languages and the current version can be downloaded from www.ld-didactic.de free of charge. Alternatively, the COM3LAB software can also be obtained on DVD (70000CBT).